Welcome to An Antwerp Beer Guide. It is "A" beer guide rather than "The" beer guide because it in no way intended to be comprehensive. It is a "curated" site -- which just means these are the pubs that a beer geek named Fred happens to like. Fred lives in Los Angeles but he often visits Antwerp. We've designed the site with the beer tourist in mind. 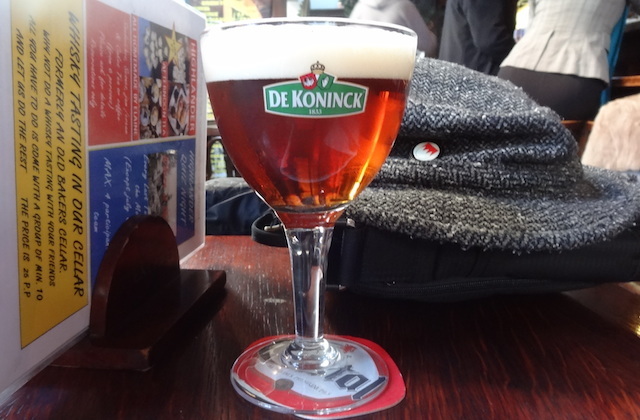 Whether your are in Antwerp on a dedicated beer trip or you are in town for other reasons (business, family trip, etc.) and just want to try some good local beers.